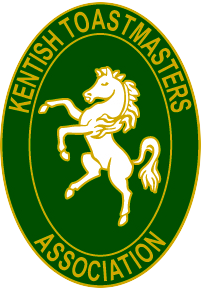 Wow 2 fantastic locations and a route master bus for the wedding of Mr & Mrs Ansley. The day started at a lovely church hidden away in Dover and ended at Reach Court after a lovely drive in a route master bus. 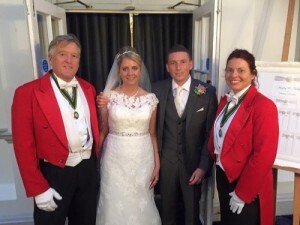 The Botany Bay Hotel, Broadstairs was the perfect setting for the wedding of Mr & Mrs Smithers. Such a beautiful spring wedding overlooking the sea at Botany Bay. 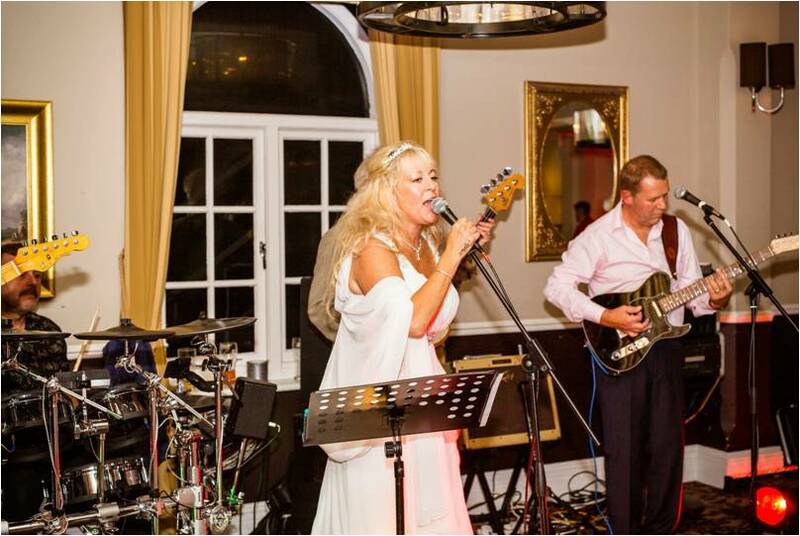 A great day and even better night when the bride fronted the band at The Marine Hotel in Tankerton . A fantastic wedding day for Mr & Mrs Munro. 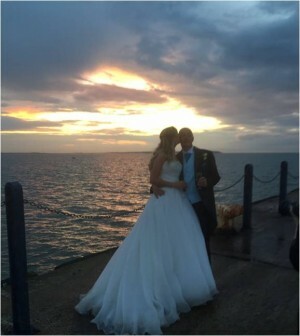 All Saints Church and East Quay Whitstable was the perfect setting for Katie and Ray Nichols. 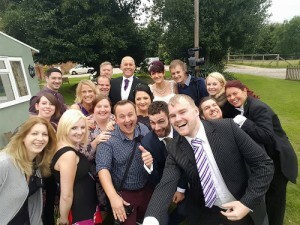 We love a wedding that starts in the local pub it always creates a great atmosphere. Outstanding from the moment you arrived. Attaching 130 buttonholes, ensuring everyone was in the right place at the right time. 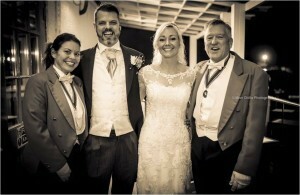 On behalf of myself and the bride and groom thank you so much for ensuring everything ran smoothly. (and for rescuing the day in lending me cuff-links!). Will certainly recommend you. Kindest regards, Graeme The Usher. Quex was the stunning venue for Jon & Clare. They had a beautiful blessing for the evening guests - such a lovely wedding day. Jonathan and Nicki thank you for making Jon and Clare's wedding so perfect ! 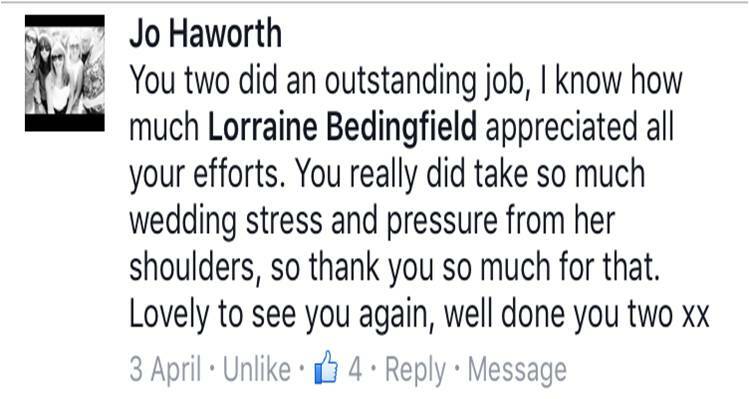 Your total professionalism and support of the happy couple was awesome and ensured they had nothing to worry about! The happy couple, all the friends and family are extremely grateful to you both! Chilston Park was the stunning setting for Nicky & Hayley's wedding. This couple certainly had an eye to detail. 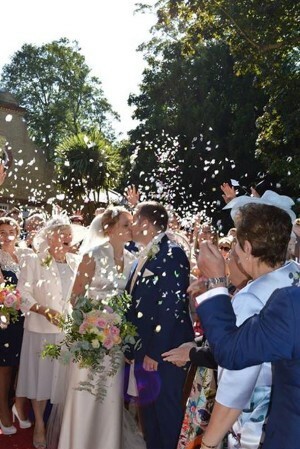 An amazing wedding for such a lovely couple. You guys were AMAZING and the day wouldn't have been so brilliant without you! Thank you so much again for making everything run perfectly and helping me and my lovely wife enjoy what was a wonderful occasion. We'll catch up with you after our honeymoon! 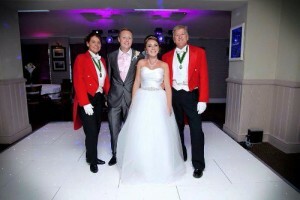 A HUGE thanks to Nikki and Jonathan who were the brilliant Toastmasters at our Wedding on Sunday 30th August. We couldn't have enjoyed our day as much as we did without your help and support throughout. We'll definitely be recommending! Mr & Mrs Jones. 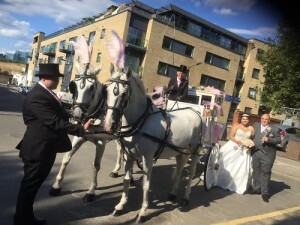 The sun shone in London for the dream wedding of Chelsea & Ashton. The couple had planned so many surprises for their family and friends. 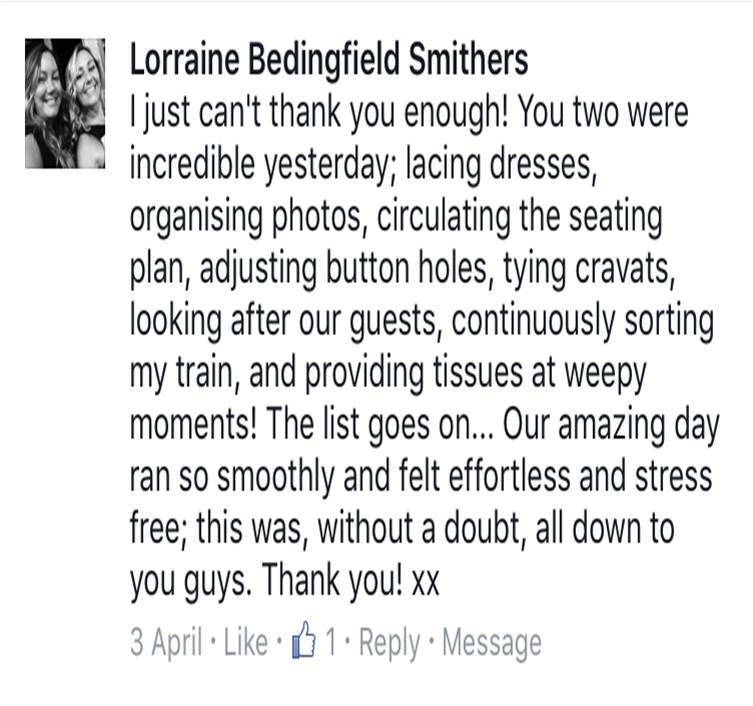 We were pleased their day exceeded expectations. 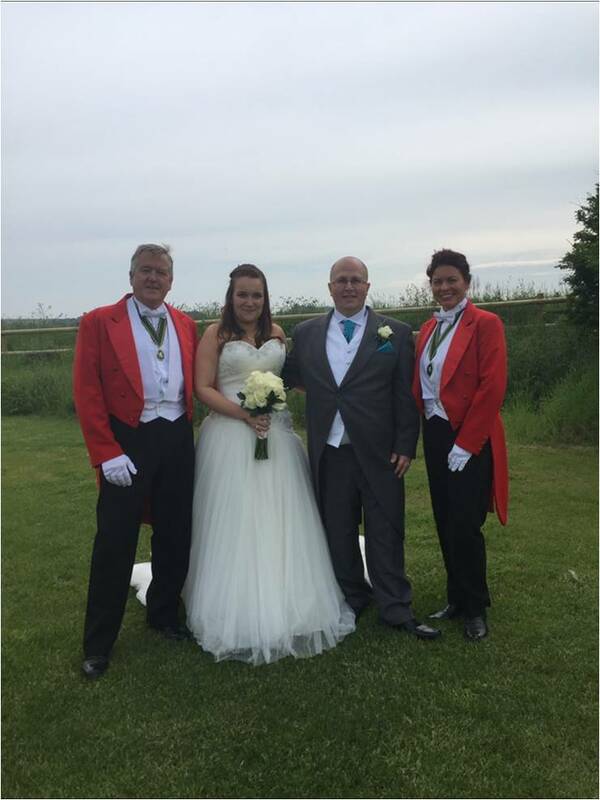 The sun shone for Kelly & James at Birchington Church & the Botany Bay Hotel. A very memorable and enjoyable wedding. 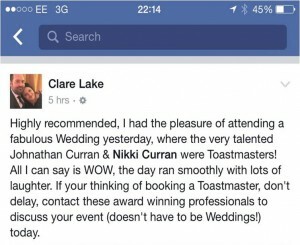 Nikki and Jonathan, we are so elated we chose you to be our toastmasters, you made us and all our guest feel at ease, not only throughout our wedding day but also from the many weeks leading up to the day. 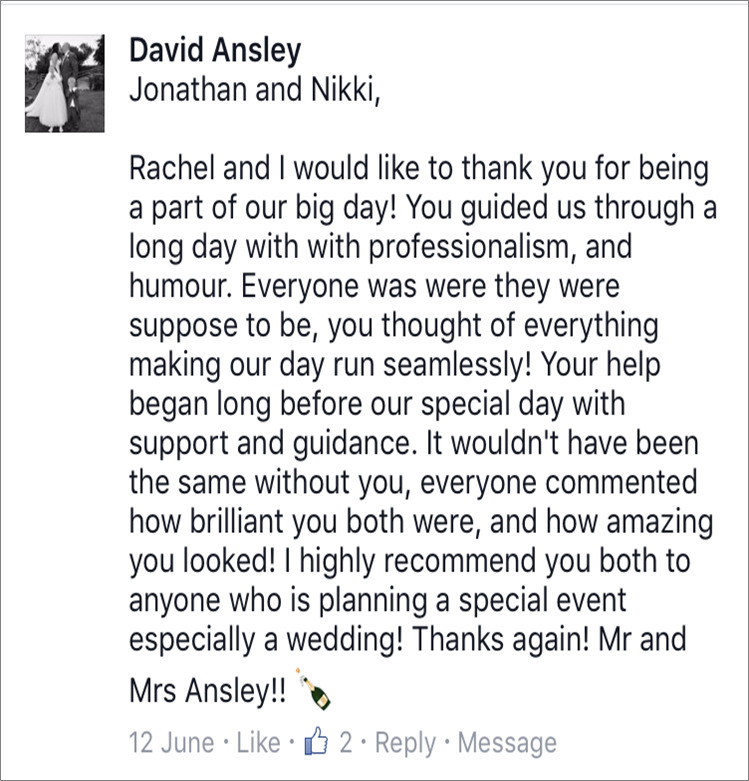 We had so many compliments about you both from friends and family, the day ran so smoothly we couldn't have done it without you. You guys are simply amazing! We have and will continue to recommend you to brides and grooms to be. 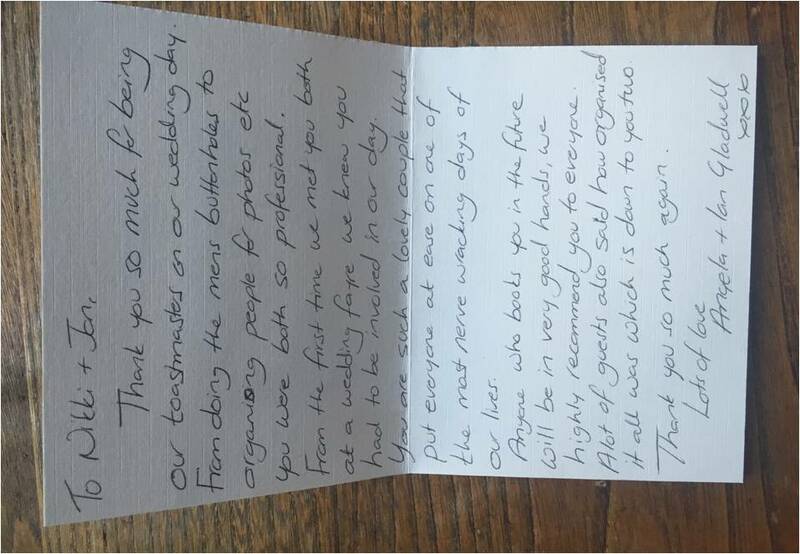 I just want to thank you for all your help at Kelly's wedding yesterday. We really appreciated it and Derek has not stopped talking about you and your kindness.